Jessica Lopez and her chambelanes, dressed in military uniforms, perform a traditional dance for the guests with the mariachi band directing them. 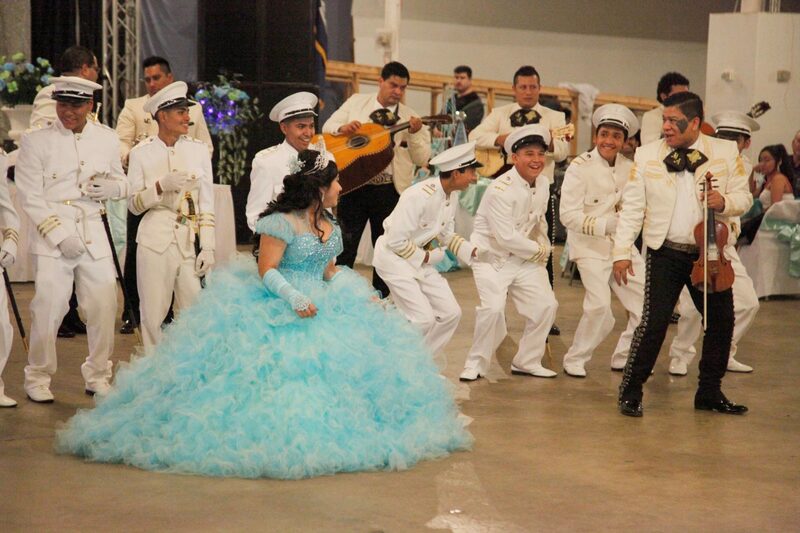 A highly ritualized Hispanic fifteenth birthday celebration, the rural quinceañera features a religious service and a reception replete with symbolic rituals that usher a girl through her transition into womanhood. This complex ritual requires considerable experience to produce. Maria Lopez, who grew up in San Luis Potosí, Mexico, and now lives in Bernice, “made quinceañeras” for both her daughters and helps her community hold quinceañeras and other celebrations. 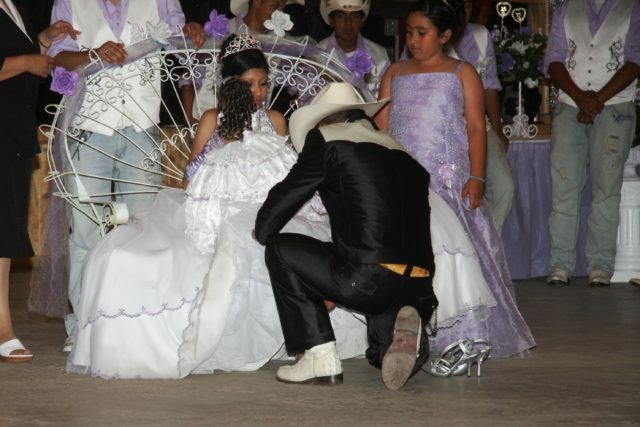 In rural Mexico as well as in rural North Louisiana, where the large chicken farms and processing plants of Bernice and Farmerville have drawn working-class Hispanic people, the quinceañera frequently requires financial and labor contributions from family and friends. The quinceañera day begins with a Catholic Mass at noon. In Union Parish, Our Lady of Perpetual Help Catholic Church was the favored site because it provided a Spanish ministry; recently, this ministry has moved to St. Thomas Aquinas Catholic Church in Ruston, where Lopez’s younger daughter had her quinceañera Mass. The opening procession includes grandparents, parents, siblings, godparents, court maids, chambelanes (chamberlains), and the honoree, all dressed in the chosen color scheme. The honoree is seated in a chair in front of the altar as the priest provides religious instructions and invites the honoree to reflect on the occasion. Other traditional elements of the service include scripture readings, an offering, hymns and special music, Holy Communion, parents and the honoree’s responses of thanks, and her godparents and relatives’ presentations of symbolic gifts such as a tiara, jewelry, a watch, and a Bible. The priest closes the service with a blessing followed by the recessional. The honoree, family, and court return to the sanctuary for formal photographs, while guests may continue to the fiesta. Juanita Lopez’s father presents her silver high heels after she has received her “last doll.” Photo by Susan Roach. Fiesta receptions may be held in other towns with facilities to accommodate a large crowd. The Lopez family chose the Bernice Civic Center for their parties. Decorations and multi-tiered cakes echo the chosen color scheme. Decorated tables and chairs for two to three hundred guests are set up on each side of the open floor in front of the stage. With the guests seated, the honoree and her court proceed to a special dais. The band plays for the guests while children run and play on the open dance floor. By mid-afternoon, guests begin lining up for the buffet of barbecued beef and pork, refried beans, fried rice, salsa, tortillas, and soft drinks. Then a musical video production featuring photographs of the honoree celebrates her life. Also common are presentations of special gifts and a “big gift,” containing many small gifts inside a large box. 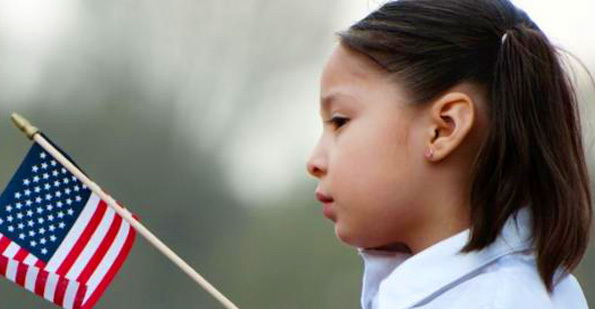 Other ritual presentations signify the end of childhood and the beginning of womanhood. As princess for the evening, the honoree first receives from her godparents her crown, a tiara or diadem, along with a scepter signifying her new power as a woman. Then her parents present her with her “last doll,” which according to Juanita Lopez “means I’m growing up. It is not for me to be playing with dolls; now I’m leaving the dolls behind.” Next, her father kneels to replace the honoree’s low-heeled shoes with high heels before her symbolic dance with her father. Other dances follow with her chambelanes and guests, punctuated by a toast of good luck and health with champagne or sparkling cider served by the chambelanes from hand-decorated bottles, as well as thank-you speeches from the parents and honoree. Finally, the cakes are served, and everyone dances late into the night. Susan Roach, the Mildred Saunders Adams Endowed Professor in English, serves as director of the School of Literature and Language at Louisiana Tech University. 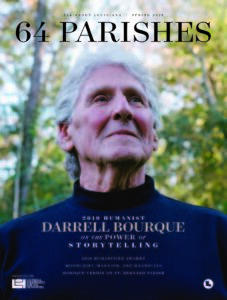 Holding a Ph.D. in folklore from the University of Texas at Austin, she was folklorist for the Louisiana Regional Folklife Program at Louisiana Tech University from 1998–2009, and continues fieldwork on north Louisiana folklife. For further information on the quinceañera, see her essay “Ritual Traditions of Maria Lopez: From Mexico to Louisiana” at louisianafolklife.org. 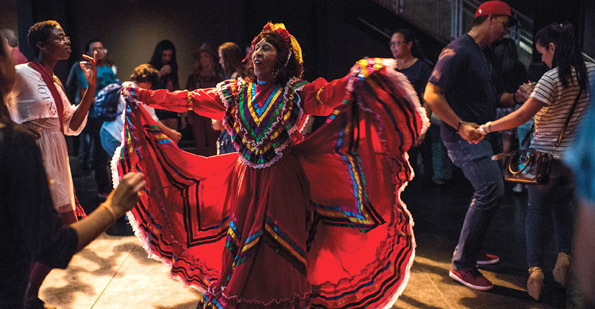 Latino heritage in Lafayette is being recorded by the LEH and other cultural partners. More than 10,000 Latino immigrants live in Lafayette, each of them deciding how best to survive and belong. The essay and oral histories are part of “Latino Americans: 500 Years of History,” a project funded by the American Library Association and the National Endowment for the Humanities.